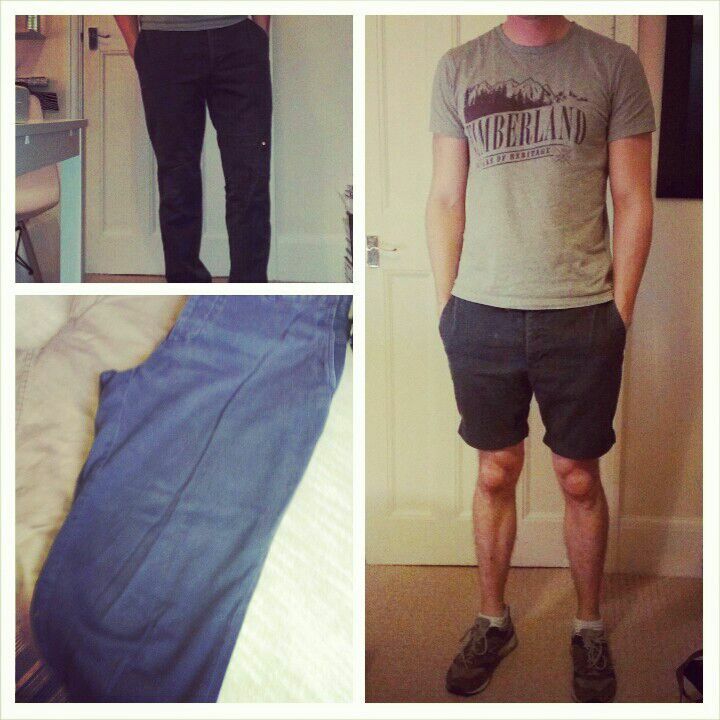 Eoghan’s 2014 challenge – no new clothes for a year! My lovely friend Eoghan has set himself a challenge for 2014 – no new clothes for a year! 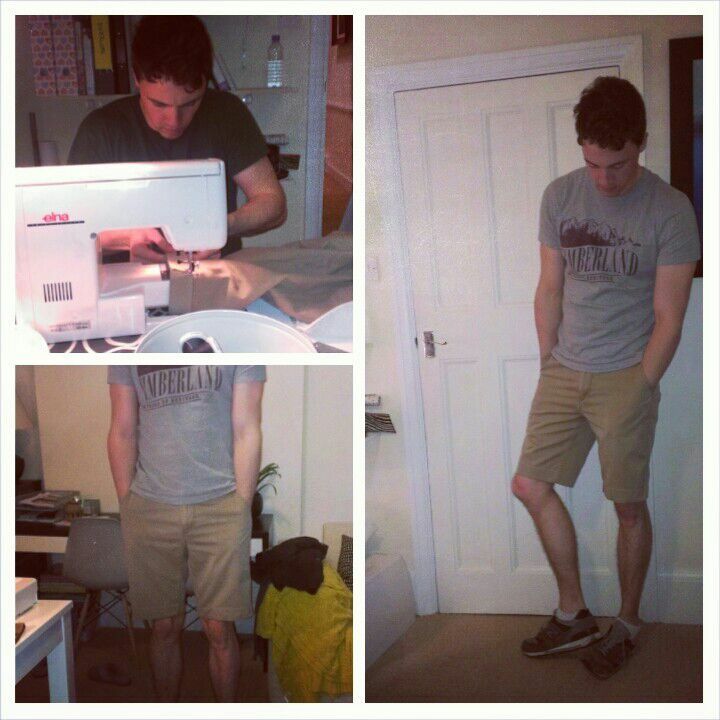 We took an old Ralph Lauren chino’s and another pair of trousers and turned them into shorts! They look fabulous! Anyone else up for the challenge?